Sales have increased 293 percent overnight. As beauty savvy as we are, there's still one skin care conundrum that consistently baffles us: dark circles and puffiness under our eyes. And try as we might to tackle pesky under-eye bags and budding wrinkles, it's pretty difficult to find a product that offers lasting results. Now that spring has officially sprung, we're particularly eager to brighten up, and it looks like we're not alone. 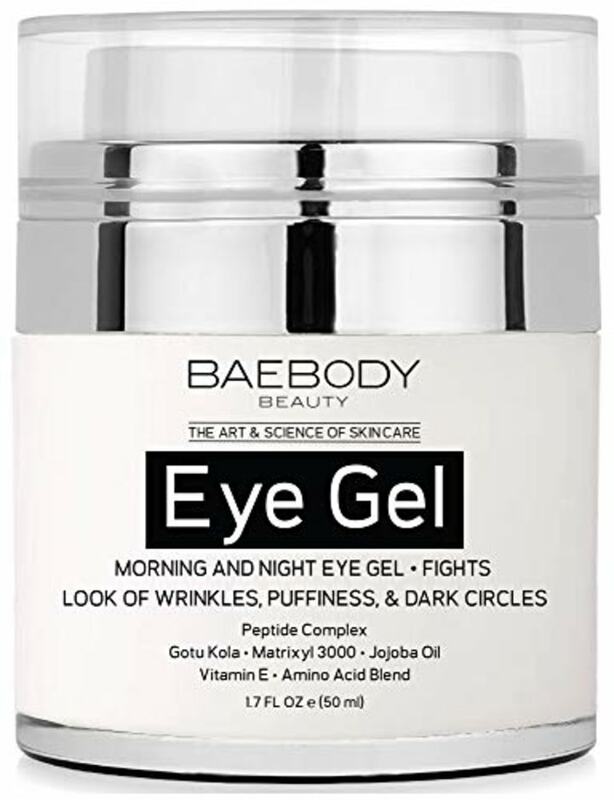 Amazon shoppers have been scooping up the Baebody Eye Gel in droves in the last 24 hours, and sales of the gel have increased by 293 percent overnight. Clip the online coupon on Amazon for an extra $3 off, making it $21. The Baebody Eye Gel has climbed its way up the Amazon Movers and Shakers best-sellers list, and has over 14,000 reviews. More than 8,000 shoppers have given this skin care wiz a glowing five-star review, and describe the affordable product as amazing, impressive and even "life changing." The made-in-the-USA eye gel is meant to reduce the appearance of under-eye bags, fine lines, dark circles, puffiness and sagginess, and the brand even offers a money back guarantee. It tackles under-eye skin care concerns with a powerful combination of ingredients including peptide complex, matrixyl 3000, vitamin E, jojoba oil, amino acids and hyaluronic acid. We asked Boston dermatologist Dr. Ranella Hirsch if this cream could actually work, and she said many of these ingredients can aid in tackling under-eye issues such as puffiness and dark circles. "Aloe vera soothes, hydrates and reduces puffiness. Vitamin E has anti-inflammatory and antioxidant properties and helps limit the breakdown of collagen. Finally, as a humectant, hyaluronic Acid helps to draw in water leaving skin looking plump and hydrated," Dr. Hirsch said. Dr. Debra Jaliman, a board-certified New York City dermatologist and author of the book “Skin Rules: Trade Secrets from a Top New York Dermatologist" echoed these sentiments, and said the gel's organic licorice can help diminish the appearance of dark circles and brighten skin. Since the skin under your eyes is pretty thin, it shows signs of age early on, and requires a special set of ingredients to treat it, said to Dr. Joshua Zeichner, director of cosmetic and clinical research at Mount Sinai Hospital's department of dermatology. "We treat the undereyes using ingredients that stimulate collagen and plump the skin to improve structure and radiance. Peptides are messengers that tell your skin cells to boost their activity. In this case, the peptide complex stimulates collagen production," Dr. Zeichner said. One reviewer posted some impressive before/after shots of herself after using the product, and shared the following review: "Give it time and use it religiously — this thing really works!! As a mother of four in her 30's, I also nanny full time for three additional little ones. I'm always running on minimal to no sleep, don't eat right, am always on the go ... this helped actually take away the dark circles I was spending so much money on expensive makeup to conceal!" Another shopper said his colleagues immediately noticed he looked well-rested after he used the eye gel: "After just one use my colleagues at work noticed and said it looks like I've finally gotten some rest or that it looks like maybe I've fallen in love. Yes, I have fallen in love, with Baebody eye gel."